James A. Evans studies innovation and knowledge in science, technology and the digital economy with large-scale data and computational methods. 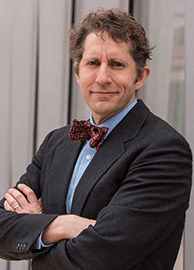 He is founding Director of the University’s Computational Social Science program and Director of Knowledge Lab, a center that uses big data, machine learning, high performance computing and intelligent crowdsourcing to understand and drive the changing nature of innovation and knowledge in a digital world. Before coming to Chicago, he received his doctorate in sociology from Stanford University, served as a research associate in the Negotiation, Organizations, and Markets group at Harvard Business School, and completed a B. A. in Anthropology & Economics from Brigham Young University. Evans’ research has been published in Science, PNAS, Nature Biotechnology, Administrative Science Quarterly, American Journal of Sociology, American Sociological Review, Sociological Science and other journals and has been featured in Nature, The Economist, Atlantic Monthly, Wired, NPR, BBC, El País, CNN and many other outlets.